As my travel date to Iceland approached, the packing phase kicked in and this question popped inside my head – ‘What adapter do I need for Iceland?’ I googled a bit and was left confused, as the information was scattered or put in a confusing way. So, like me, if you are searching for a plug adapter for Iceland, then this article will help you find one. I shall try to lay out the ‘Iceland power adapter’ information in an easy and understandable manner which will make your shopping and packing a breeze. First, let’s understand the basics. If my device is a Dual Voltage rated, then do I need to worry about buying an adaptor? Ok, now which one to buy? Power Adapter for Iceland or a Power convertor? Iceland electrical plug adapter – What adapter do I need for Iceland? What if I forget to bring an adaptor from my country? Are Iceland plugs the same as Europe? Will the northern Europe adapter work as power adaptor for Iceland? What is the best Travel USB chargers for Iceland? What is Iceland plug adapter type called? Iceland power sockets output 230 volts at a standard frequency of 50 Hertz. This is often short coded as 50 Hz/220 volts. The power sockets in Iceland are of ‘F type’. 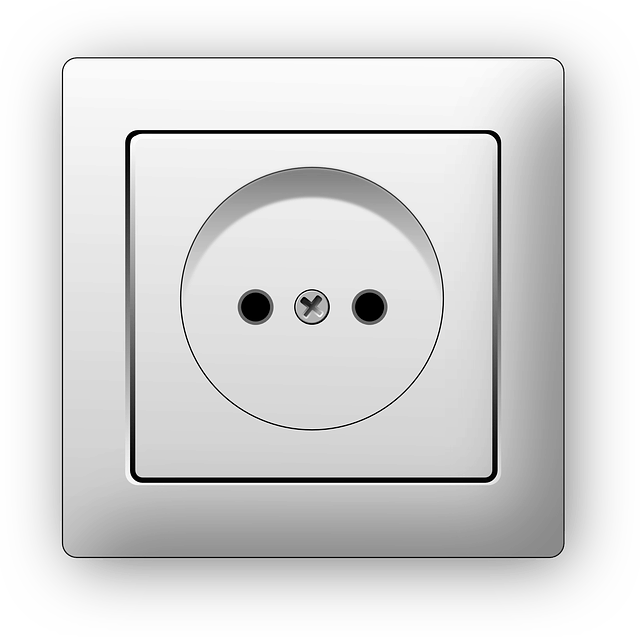 Ok, now before things start flying above your head, look at this picture below which shows how a power socket or wall plug in Iceland looks like. Now, let’s simplify things further and check what is the power output from the wall sockets in your country. And who better than Wikipedia for this information. Here, they have listed all the countries with their mains voltages and frequency. As a summary, many Asian countries, European countries, UK and Australia run on 230V and 50 Hz, while, America and Canada have a standard voltage of 120V and 60 Hz. Now, before you jump in joy that the mains voltage in your country and Iceland are a perfect match, let me introduce you to the new villain in the scene, ‘The type of outlet plug’. Plugs are divided into categories and are named as ‘Type A’ and goes all the way till ‘Type N’. Each plug goes into a specific type of socket that matches it. So, even if the voltages in your country and Iceland match, the wires and cables you use daily that suit the plugs and sockets in your country, may or may not match with the sockets in Iceland. This is a fairly straight forward problem and can be solved easily. Travel adaptors can be used to tackle this issue. More on that later. To understand the definition and the work of a Power Adapter is simple. As the name says, it ‘Adapts’, so it gets adjusted with what is already present and does NOT attempt to change anything. Again, as the name says, a Power Converter converts a specific input power into a different output power. Let us also know about the types power input the devices or appliances like your phone, laptops, camera and hair dryers accept. These devices accept and operate at a specified voltage and may malfunction if a different power input is provided. The common devices that fall under this category are hair dryers, curling irons, beard trimmers and a few kitchen appliances. The vice versa, i.e. Single voltage devices that work well in US/Canada will not work in Iceland. These devices operate at a specified range of voltages without any issues. Check my laptop charger below. It says, ‘Input 100 – 240V ~ 50-60Hz’. This denotes that this charger can accept voltages from 100V to 240V and can give an output of 19V. These type of devices can be easily charged from any voltage source, ranging from 100V to 240V. So, this device would work well both in US which has 120V and in Iceland which has 230V. Most newly manufactured devices/chargers fall into the wide range of power supply modes. You can find it out from the label on your device/charger easily. Absolutely YES! Because, the device you have might be compatible for the power source, but the plug that goes inside the socket might not fit, as it varies from country to country. Remember the villain I mentioned in the beginning of this article? Yes, the same one is the trouble maker here! To begin with, lets segregate things by device type. As these devices can accept a range of power supply, they need the right ‘Power Adaptor’ which can plug into a socket in Iceland on one side and accept the plug of your device on the other. Another point to note is that, no matter if you come from a country that has a 230V output which is the same as Iceland – if your device doesn’t plug into the socket, you have no other go than buying a compatible adaptor. JMFONE International Travel Power Adapter: This adapter works for more than 160 countries and will defiantly help you in your future travels too! HAOZI All-in-one International Power Adapter: This is yet another highly recommended adapter by users on Amazon. The only difference between the above adapter and this is that, it has only 2 USB ports as compared to 4 in the above adapter. And obviously, for the same reason, it costs a few bucks less. Dandelion Travel adapter: This adapter is cute and handy. The advantage of this one is that it has a spare fuse, just in case the current ones dies. Smart, I’d say! If you are from a country that outputs 230V like where I come from (remember my hair dryer picture? ), then a simple adaptor will help the device to work fine in Iceland. But trouble starts to brew if you come from a country with a different power output, like US or Canada, then you might need a ‘Power Converter’ which converts the power from a specific voltage to a different output voltage. ❗️ Mistake: A common mistake committed by travellers to Iceland is to use their hair dryer without checking the specifications, thus damaging the product and creating a potential hazard. To avoid this situation, most hotels and accommodation in Iceland have a hair dryer which guests are free to use. On a side note, you might want to know where we stayed during our Iceland Holiday. Here it is. You can read, where we stayed and how was our experience. You can either buy a good Power Adapters or buy a dual voltage hairdryer/ trimmer which works well, both in your country and in Iceland. Best International Travel Adapter and Voltage Converter: This acts a converter + has a power strip that can charge multiple devices. BESTEK 220V to 110V Voltage Converter: This converter is the most reviewed converter on Amazon and seems to have gained the users trust. Conair Vagabond Compact: Conair Vagabond is one of the bests in the market right now, it is very compact and also fold able making it perfect for travel. BaBylissPRO Nano Titanium Spring Curling Iron: BaByliss Curling iron is not only perfect but also for regular use and its Nano Titanium technology gives it an edge over other curling irons. Travel Flat Iron 2-in-1 Mini Hair Straightener Curling Iron: This one is a straightening and curl iron, both in a single machine. So you can now flaunt multiple hairstyles in your vacation! Wahl Cordless Rechargeable Hair trimmers: This hair trimmer is not only dual voltage but has multiple combs for every kind of use. Adding this info here as this is one of the most asked questions. If you are from UK, the power output in your country will be 230V. 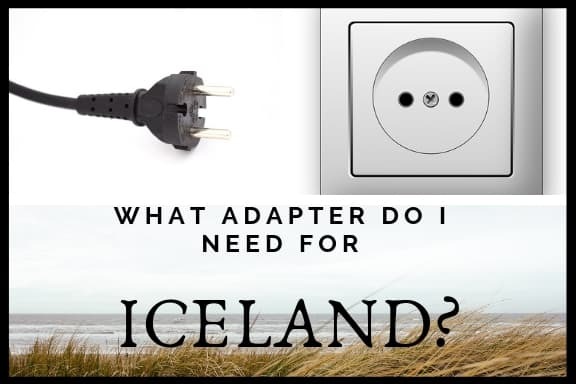 But the plug type widely in UK used is ‘Type G’ and the one widely used in Iceland is ‘Type F or C’, so you must buy the correct adaptors to go with your devices before you embark on your Iceland holiday. I have explained in detail above about the cases for USA and Canada. Anyways, here are some products that will solve your problem. If you forget to bring an adapter then fret not, you can get these in duty-free stores in Keflavik airport or in supermarkets and electric stores in Reykjavik. Just remember that these might cost 4x-5x times what it would have cost you back home. So, it’s always wiser to be prepared and buy a travel plug adapter for Iceland online before you leave home. The car charger you use back home will perfectly fit the cigarette lighter socket in Iceland. So, you can bring the same to Iceland and it will work just fine! Usually there is an USB charging socket in the car, but if you use a GPS or play songs through USB, then you might have to use the Cigarette lighter socket to charge your devices. Helpful Tip: A smart strategy here is to buy an inverter which works through a cigarette socket and in turn you can use it to charge multiple devices. Some examples of these inverters are this and this. Europe is not a country but a continent which consists of many countries. Every country has a different practice and it’s always good to check if the adapter you have will work for Iceland or not. Useful Hack: USB in Televisions, some hotels/accommodations have USB charging outlets which can be used to charge your phone. Yes. These kind of adapters work. Iceland uses the plug adaptor type ‘C’ or ‘F’ which has a rounded socket inlet with 2 rounded prongs. So, it’s clear that most of us need to use power adaptors to charge our devices in Iceland. And usually, we either have multiple devices or there are many people in the group, which again results in several devices o be charged. Instead of buying one adaptor for one person or allotting one adaptor to use one device at a time, a superb strategy is to buy one power adaptor and a power strip that goes with it. And then this power strip can be used to charge multiple devices at a time! Check prices of Power strips . As I mentioned somewhere in the article, it is useful to buy a car invertor which allows a couple of devices to be charged at a time through the 12V car charging socket. Here is how an inverter for car looks like. How to go about charging your devices when not in car or in your room? What if your phone battery is about to run out while on a hike? A power bank comes to the rescue. Here are some recommendations for good and sturdy power banks . Hope this article has helped you sort out your thoughts about buying a good travel adaptor for your Iceland trip. Let me know if I have forgotten to add anything or if there’s something you’d like to share with us in the comment box below. Which car to rent in Iceland? 2×2 or 4×4?